A High Court judge has ordered the release of Thomas Cook staff who were arrested after occupying the company's premises on Grafton Street. Mr Justice Michael Peart said he fully understood the distress and anger of the workers who are facing redundancy. However, he said that cannot permit the law to be broken, as that would be a recipe for anarchy. Workers gave an undertaking to obey his order not to interfere or trespass at Thomas Cook premises and the judge said he accepted that it was a sufficient purging of their contempt. He said the events of the past few days have resulted in a great deal of distress for the staff and the families and he would not add to that by imposing a prison sentence. Counsel for Thomas Cook told the court that contact has been made between the TSSA union and Thomas Cook and the parties have agreed to meet tomorrow. 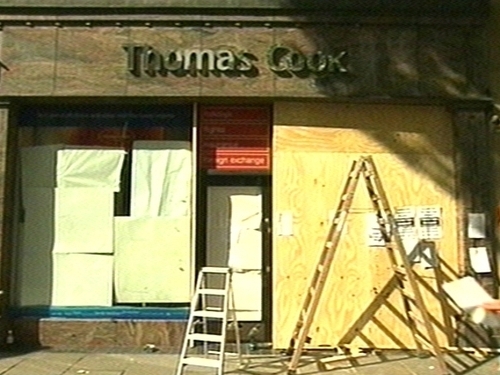 Staff at Thomas Cook staged the sit-in in pursuit of better redundancy from the company, which is pulling out of Ireland. The workers at the travel company's Grafton Street store have been occupying the offices since Friday afternoon in their dispute over a redundancy package. Sixteen workers, eight trade union representatives and the partner of one of the staff were arrested at the Grafton Street shop at 5am this morning. Yesterday, Mr Justice Peart ordered that the workers be arrested and brought before the court today after they had defied an order to leave their workplace. 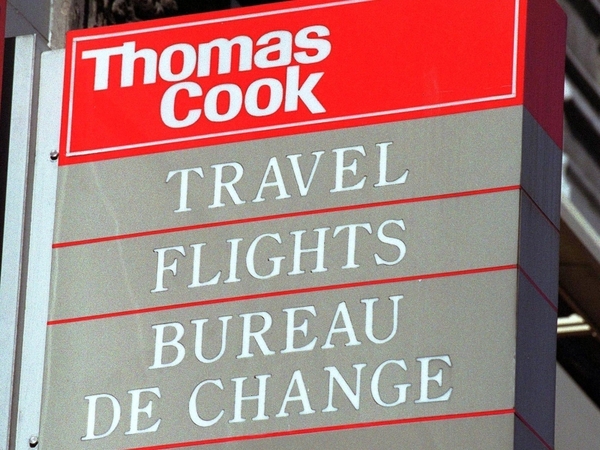 When Thomas Cook workers heard on Friday the travel agent was to close with immediate effect, and not at the end of August, they refused to leave the premises and occupied the office over the weekend. The workers staged the protest in a bid to get an improved redundancy package. The company is offering five weeks for each year of service. It says the package is more than it is legally required to offer. The workers are seeking eight weeks for every year they have worked for the company. One of the women who had been taking part in the protest, Avril Clancy, was this morning removed from the premises and taken to hospital where she gave birth to a baby girl, who has been named Chelsea. About 200 people took part in a demonstration outside the Four Courts in Dublin in support of the workers.